A community of lovely people. from 01. May to 30. September. We especially welcome individuals who embrace the spirit of a community. just three tram stations away from the S-Bahn station Landsberger Allee. a large dorm room, and a funky caravan. There is space for tents in the garden. Sandino is also home to a few chickens, an apple tree and a vegetable garden. there are sometimes barbeques and often campfires. We want to meet friendly and interesting people. who want to meet new people and get to know them. friendlier and better place - like we do. and a chance to experience the real East-Berlin. 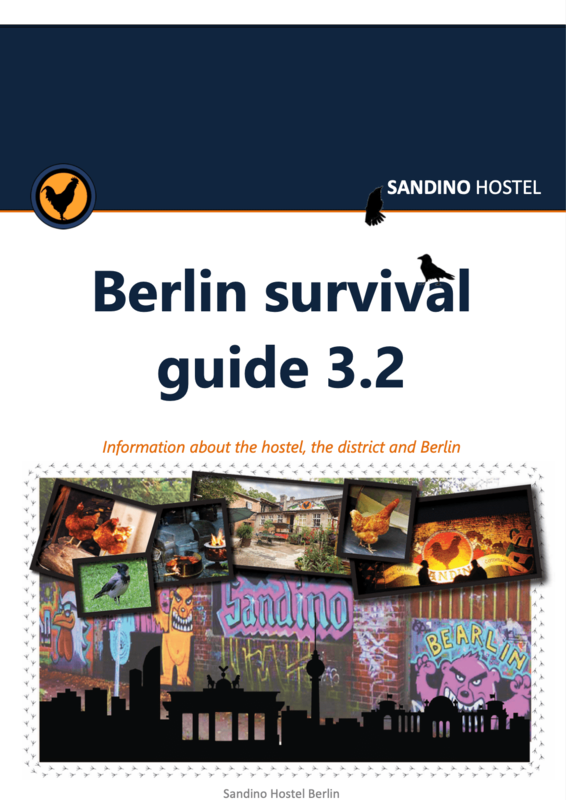 check out our Berlin survival guide! or changed, we would be pleased if you let us know. We can host private parties, concerts, exhibitions, performances and social projects. But we´re also open to new suggestions! Have fun checking out the rest of our site, we look forward to seeing you all soon!